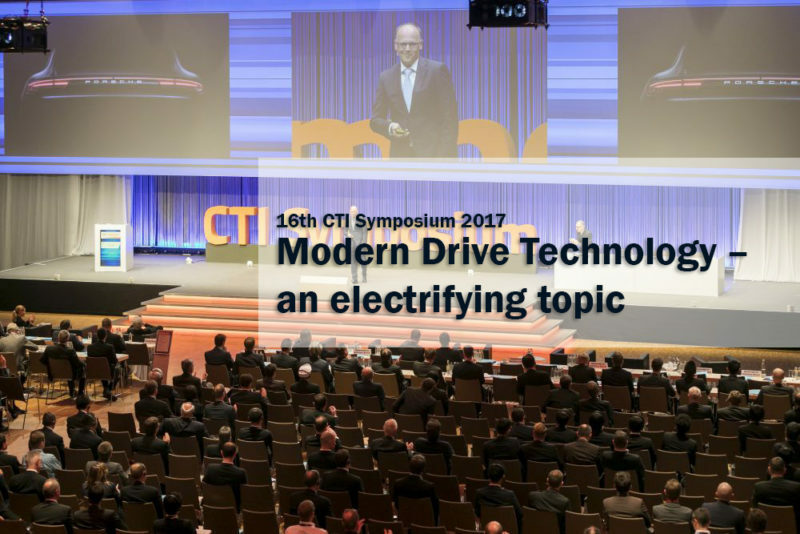 More than 1350 participants from 25 countries are expected to attend this year’s CTI Symposium in Berlin (4 – 7 December 2017). Symposium chair Prof. Dr Ferit Küçükay (Director of the Institute of Automotive Engineering, TU Braunschweig) will be welcoming a host of top-notch speakers including Rolf Najork (President of the Executive Board, Bosch Rexroth AG), Prof Peter Gutzmer (Chief Technology Officer, Deputy CEO, Schaeffler AG), Dr Wolfgang Warnecke (Chief Scientist Mobility, Shell), Dr Sven Beiker (Founder and Managing Director, Silicon Valley Mobility, LLC; Lecturer in Management, Stanford Graduate School of Business) and Alessandro Coda (Chief Technology Officer, CLEPA – The European Association of Automotive Suppliers). Düsseldorf/Shanghai June 2017 – The next International CTI Symposium ’Automotive Transmissions, Hybrid & Electric Drives’ takes place on 25 – 27 September 2017, when automobile experts will gather in China for the sixth time to exchange ideas on transmission technology developments. With 8 lecture series, 60 presentations, 7 keynote speeches and the satellite exhibition ’Transmission Expo’, the event will provide a powerful framework for high-ranking Chinese and international automobile and transmission manufacturers and suppliers. The focus will rest on strategies, new components and development tools for conventional and alternative drives. 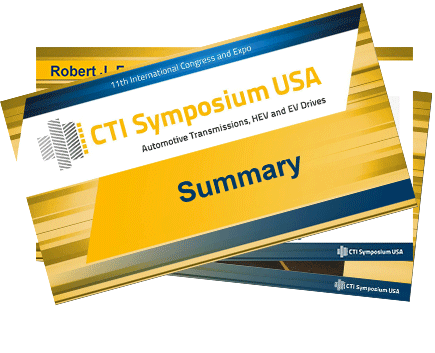 The CTI Symposium in Novi, Michigan is over and organizers look back on the 11th successful event in the United States. During the two event days eleven keynote and plenary speeches highlighted the last technology trends, legislative directions, consumer preferences and OEM strategies by the auto industry executives. 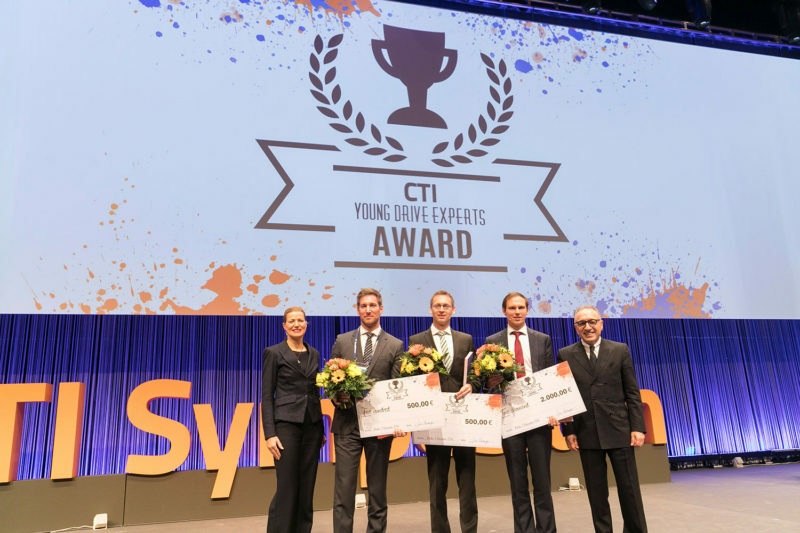 Berlin/Düsseldorf, 7 December 2016 – This year, no fewer than three candidates won an 8th CTI Young Drive Experts Award at the 15th International CTI Symposium for Automotive Transmissions, HEV and EV Drives. First place overall went to Dr Marco Denk (Research Associate at Bayreuth University), second place to Harald Kraus (Head of the scientific team E-Mobility and Alternative Drives) and third place to Dr techn Markus Bachinger (Executive Engineer at AVL List GmbH, Graz). 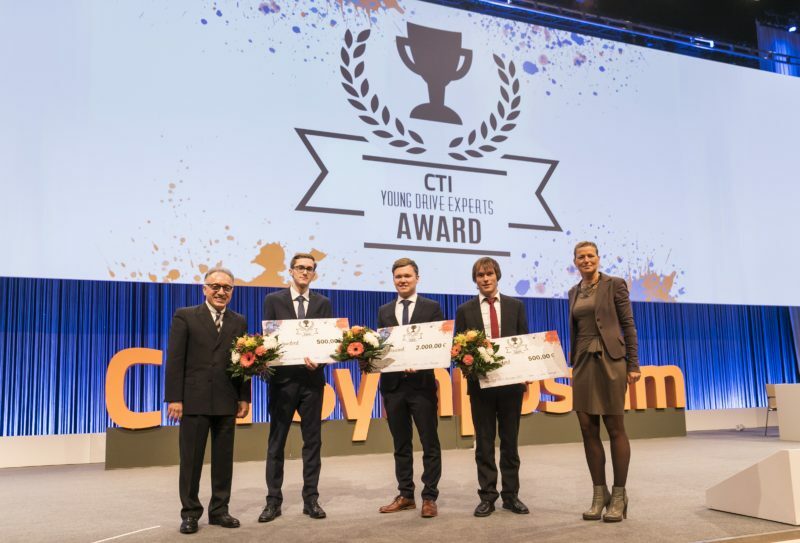 The CTI Young Drive Award honours outstanding Bachelor, Master works by recent graduates and PhD theses in the field of transmission and drive development. The aim is to encourage young engineers to continue their efforts in this sector. Students have until 15 November 2016 to submit their BSc, MSc papers and PhD theses for the 8th Young Drive Experts Award 2016. 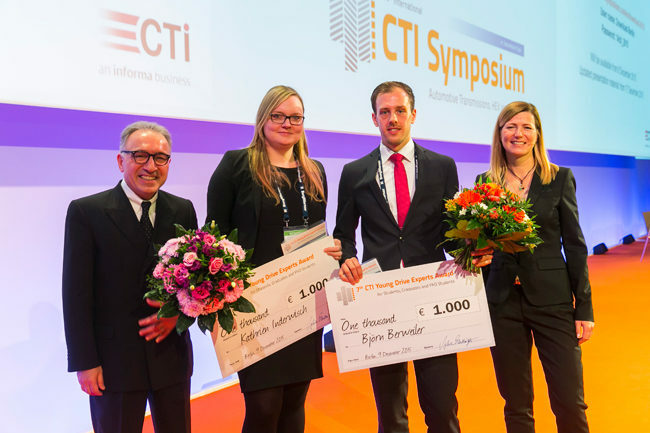 The award ceremony will take place at the CTI symposium in Berlin on 7th December 2016. The award recognises young engineers whose papers focus on solutions and concepts that address any aspect of transmission, drive and component development / optimization in the automotive sector.